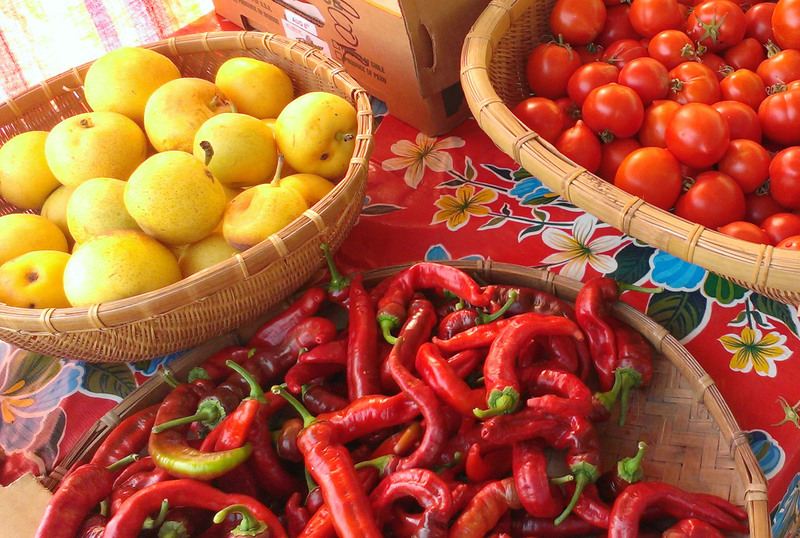 Pick your produce in Sonoma County at one of our many Farmer's Markets. There’s a reason Sonoma County is famed for its agricultural bounty, as you’ll see when you explore the region’s many farmers’ markets and discover the infinite variety of local produce, artisan specialties and heirloom treasures. Although the farmers’ markets center around locally grown produce, they offer far more for a discerning palate and community minded clientele. People come to buy a juicy peach or a mouthwatering tomato, but also a fresh-baked red velvet cupcake from Crumb Hither Gourmet Cupcakes and Specialty Baking of Santa Rosa, or handcrafted pancetta from Franco’s One World Sausage Co. of Healdsburg. They seek out seedlings and flowers from Daffodils, Dahlias and Lilies Oh My of Santa Rosa. They swoon over beautiful hand carved wood bowls from By the ElvinMoon of Petaluma, and stock up on fresh roasted coffee and beans from Run Around Brew of Sebastopol. 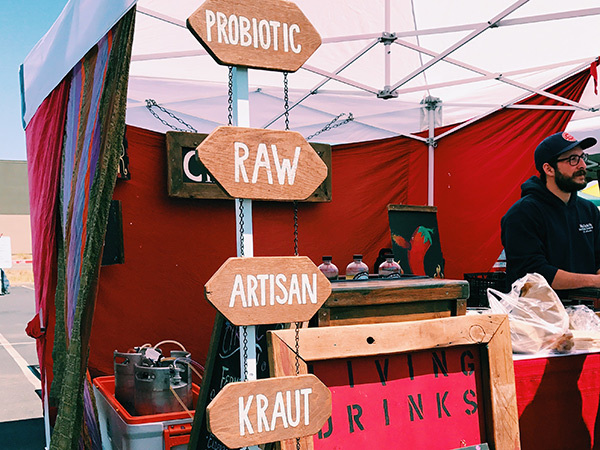 Locals and visitors also love Sonoma County farmers’ markets as delightful places to meet their friends and hang out, listen to live music from homegrown talent or just watch the world go by. These are wonderful places, too, to grab a meal, from food trucks like the one from Rosso Pizzeria, with the pizzas baked in a mobile wood-burning oven. For each unique experience, one thing unites most of the destinations – they are Certified Farmers’ Markets, meaning vendors are required to produce their own products (no trucked in merchandise here!). Some markets operate from spring and into fall, while some run year-round. 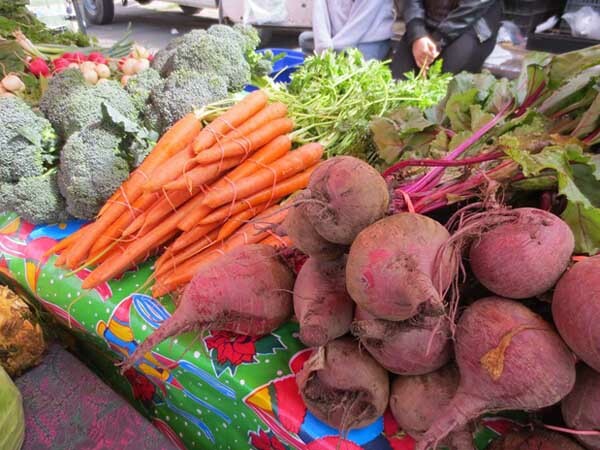 Santa Rosa Community Farmers Market at the Veterans Building, Wednesdays (year-round): 9 a.m.-1 p.m., plus Saturdays (year-round): 8:30 a.m.-1 p.m., 1351 Maple Ave.
Tuesdays (June-September): 4-7 p.m., Forestville's new downtown park, 6990 Front St.
Petaluma East Side Farmers Market: Tuesdays (year-round), 10 a.m. to 1:30 p.m., Lucchesi Park, 320 N. McDowell Blvd. Petaluma Theatre District Farmers Market: Wednesdays (June-August), 4:30-8 p.m., on 2nd Street between B and D Streets. Fridays (Year-Round): Sonoma Valley Certified Farmer’s Market, 9 a.m.-12:30 p.m., in the Arnold Field parking lot at 241 First St. W.
Sundays (April-December): 10 a.m.-1 p.m., on Windsor Town Green, 701 McClelland Dr. In spring, you’ll find baby artichokes, red-and-white striped beets, young garlic, baby favas, tender lettuces, colorful cauliflowers, broccoli rabe, a rainbow array of herbs, and bouquets of edible flowers. Then the apples appear on the trees, starting with Sebastopol’s famed Gravenstein variety with its tart, juicy flavor. Before you know it, berries are plentiful, and then the summer stone fruits arrive, in a bounty of apricots, plums, peaches, nectarines, cherries, and plums. Soon after in fall, gardens brim with near-endless zukes and cukes, and vines grow heavy with tomatoes that might be red or yellow or green or even black. Just as this cornucopia fades away, another spills over in squash and melons and corn and pumpkins, nuts and grapes and beans. Even in the quietest days of winter, you can relish an abundance of local broccoli and bok choy and lettuces, chard and endive and mushrooms. Looking for farms? Find more info on Farms & Farmers Markets, Restaurants, and Hotels in Sonoma County.